David Scott-Beddard’s huge personal archive of White Star Line artefacts is incredibly diverse and widely acknowledged as one of the finest in the world. Having studied music in Birmingham, David is an accomplished violin and guitar player. However, his career path took him into retail management & marketing and he has worked for many of the world’s high-profile motor manufacturers, culminating in a directorship with Auto-sleepers Motorhomes. DSB’s love of sports saw him play rugby, squash & golf, as well as a county standard middle-distance runner, competing in dozens of half and full marathons. A qualified scuba diver, he now prefers the deep waters and wreck-diving. David’s father and grandfathers worked in the coal mines of East Northumberland; a tough environment, but one that helped him develop a strength of character that those who know him appreciate. As Chief Operating Officer of one of the world’s leading Titanic & White Star Line exhibition companies, David’s passion, vision and marketing skills have helped drive the company forward, increasing worldwide interest the story of Titanic. Having launched the successful campaign to save Titanic’s tender, SS Nomadic, David was recruited in 2006 by the Northern Ireland (NI) Department for Social Development as Project Manager to oversee her restoration and was responsible for her opening to the public in Belfast. 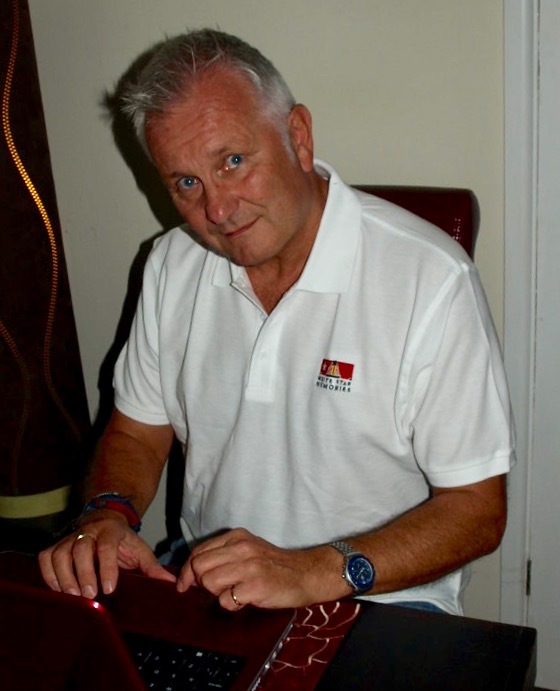 As co-founder of the Nomadic Preservation Society, he has chaired the organization since 2008, promoting the last White Star Line vessel in the world. Having carried many of the rich & famous out to the ill-fated liner, Nomadic is without doubt, the greatest surviving link to RMS Titanic. John was born in 1962, and lives in Wapping, east London. He has worked in the City of London for over 30 years, and is currently employed as a senior fund specialist with a major asset management company based in the capital. His interest in the Titanic began at a very early age having seen the classic film, A Night to Remember, based on Walter Lord’s iconic book of the same name. The Titanic story continued to fascinate him over the years, but his passion was finally cemented in 1993 after having attended the National Maritime Museum’s display of artefacts recovered from the ship. He later joined the British Titanic Society, and has not looked back since. His particular interest is the ‘the Californian Incident’ which concerns the mystery ship seen by many eyewitnesses from the decks of the sinking Titanic. 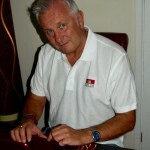 John’s other passion is badminton where he has administered a successful club in Wapping for the past 23 years. He discovered in 1993 both of his interests had a loose connection, when it was made known the sports centre where he played once operated as a repair yard for Harland and Wolff – builders of the Titanic. Latterly, John has been actively involved in fundraising and development of Southampton’s new SeaCity Museum, where he helped the council to achieve a successful grant from the Heritage Lottery Fund, he also continued to take an active part in the museum’s formation from the start. The SeaCity Museum opened to the public on the centenary of the ship’s departure from the port in April 1912. 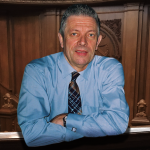 John became Membership Secretary and Honorary Treasurer of the Society in September 2012. Nikki was born in 1963 and lives in Sheffield, South Yorkshire. She has a career in Dentistry spanning more than 30 years, starting in 1980 training as a Dental Nurse before attending Birmingham Dental Hospital to study as a Dental Hygienist, and qualifying in 1984. Her initial Titanic interest began in 1985, and she clearly remembers the wreck being found with the iconic images of her chandeliers still hanging in place two and a half miles below the Atlantic Ocean. Nikki’s collection is an eclectic mix of White Star Line memorabilia, ranging in size from a dining ticket from the S.S. Laurentic to an oak panel from the 1st class corridor of the starboard promenade deck of R.M.S. Olympic. She also collects menus from various White Star Line ships and finds it fascinating to see what food was served aboard in the early 1900’s. The only exception is a Cunard Line example from the S.S. Carpathia, dated December 1912 – which featured giblet soup! The Holy Grail for me would of course be a menu from the R.M.S. Titanic – alas that will remain just a pipe dream. 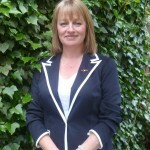 Nikki has been a member of The British Titanic Society since 1999, and has just attended her 15th consecutive Convention. She became the Society’s Convention and Events Officer in March 2014. My Background: My name is Bob Angel and my day job since the 1960’s was working with Honda motorcycle products. From 1982 to 2008 I worked for The Honda Motor Co as a development engineer dealing with product development and technical investigation on motorcycles and motor vehicles. In this role I worked directly with the Honda factories and the Research and Developments centres worldwide, riding, testing, and developing some of the world’s most fantastic motorcycles, meeting and working with some of the most brilliant designers and engineers in the world. In the mid 1980’s I was privileged to meet Mr Honda and work in a small team on a project in the UK that had Mr. Honda’s involvement. White Star Line and RMS Titanic Interest: My interest in R.M.S. Titanic started in the late 1950’s when as a young lad I went to see “A Night to Remember” at our local cinema in Islington. The film sparked an interest in me and ever since then I have studied, researched and collected items from the White Star Line. During my years of interest and research of the story surrounding what is probably the most famous ocean liner in history, I have been involved in many interesting projects and met so many interesting people over the years and made some lifelong friends along the way. I was privileged to spend a day with William MacQuitty the producer of “A Night to Remember” at his home in Richmond. He was such a kind and generous man and he spent the day telling me some wonderful stories of his personal memories of Titanic and he had endless stories regarding the making of “A Night to Remember”. It certainly was “a day to remember”. Current Work: Since retiring from Honda Motor Co in 2008 my work now involves the restoration of items ranging from vintage, veteran and antique telephones to the restoration of items for RMS Titanic Exhibitions. I have also worked on numerous projects that involve the remanufacture of lost historical items, this includes the nameplates, port plates, dimension plate, flags and numbers for the last remaining original lifeboat from S.S. Nomadic, tender to RMS Titanic. British Titanic Society: I joined the British Titanic Society many years ago and have worked behind the scenes during this time assisting in many aspects of the organisation and production of our Conventions. I am so pleased to have been given the opportunity to serve on the committee and I will do my very best for the society. Clive was born by the sea in Southampton, where his father was a Customs Officer when the liners of the day like RMS Queen Mary, were still the most popular form of transatlantic travel. So as a child, Clive remembers well the docks being his playground and being taken on board the ships that his father was attending to. At the age of 12, Clive drew a cut-away drawing of Titanic on a roll of wallpaper and from that time onwards, his passion for White Star and Cunard liners was cast, remaining with him ever since. Qualified to degree level in electrical and electronic engineering, Clive started his career work for the Medical Research Council as a development technician. But the family ties with the sea, with all of the male line back to 1734 being in either the Royal or Merchant Navy, made him restless for adventure and travel. In 1974, he joined British Antarctic Survey as a scientist and sailed to Antarctica from Southampton on RRS Bransfield. He spent two years living on the ice shelf just a few hundred miles from the South Pole, before returning home and continuing his career in high-tech manufacturing at senior management level and helping to grow a number of flourishing businesses. For the last 25 years, Clive has run his own business consultancy, specialising in the develpoment of management systems that meet international standards across a wide range of business sectors. Through all of this, Clive’s passion for all things White Star and Cunard has continued to grow and he has amassed a considerable collection of postcards and images of liners and ships that used Southampton and Liverpool in the golden era of sailing across the Atlantic. Other areas of interest include the history of Southampton, dockside and floating cranes, WW1 submarines and the life and times of Admiral Lord Nelson. He has written many articles connected to his collection and also written an in-depth study of the Evolution of the British Naval Gun. Clive is also an authority on Admiralty Floating Docks and has again written many articles about them. In what spare time he has left, Clive enjoys graphic design, photograph restoration and photo-colourisation, 3-D computer modelling and creating short movies about his maritime and associated interests. He freely admits to being a bit of a Photoshop geek, which no doubt, will be of great benefit for editing the ADB!